“Dulce et Decorum est,” the Archeologist said. “Pro patria mori,” Gamache finished. “You know Horace?” Croix asked. This exchange takes place in the basement of the chapel of the Ursuline convent where General Montcalm was buried after his death on the Plains of Abraham, a pivotal battle in the Seven Years War. Montcalm most certainly died for his country and in doing so ceded control of Quebec City—and eventually all of Canada—to the English. Horace wrote the original words to inspire his own countrymen, the Romans, to reach war-like heights in the face of their enemies. The great World War I poet, Wilfred Owen, would borrow the phrase to title, arguably his most famous poem, Dulce et Decorum est, in which he describes the horrors of being gassed in the trenches on the Western Front. “It’s an old and dangerous lie,” says Gamache to Dr. Croix. Very appropriate words to contemplate as we remember our family members lost 100 years ago in France. It is a truth that we should embolden on our souls and remind those in power of the horror of war and he suffering of the innocents. With the United States Memorial Day this weekend this is most appropriate. It also will remind the world that we sacrifice our young and have yet to find peace. Unfortunately there will always be wars; they seem to be part of human nature. The recent Manchester attack is another cruel manifestation. There is no “Right,” to war and sending our young to fight battles they didn’t start and can’t end is so very, very “Wrong.” And, then when our troops come home they come home to nothing….where are those who sent them into battle….whose taking care of those, who tried, often losing their lives. to take care of their Country? It’s shameful….I love Gamache words…..”It is a tragedy.” War is a tragedy. Such wonderful writing…I learn something with each book and they make me want to learn more…. I agree it is indeed a tragedy, is sometimes wrong, but, tragically sometimes unavoidable, e.g., against Hitler. Thank you for making this point. The so-called “war credits,” or reparations levied against Germany by France & Germany were intended to cripple the German economy for the benefit of the WW I Allies. Fortunately George Marshall learned that lesson & was in the position to implement what is called The Marshall Plan to rebuild Europe instead of wrecking it again. Gamache s truly wised. I agree with your statement. I am making copies of these Cultural Inspirations to tuck in my copies of the books and also to include in Three Pines books I give as gifts. They are really appreciated and amazing. I learn much! Making copies to tuck into the books is a wonderful idea! 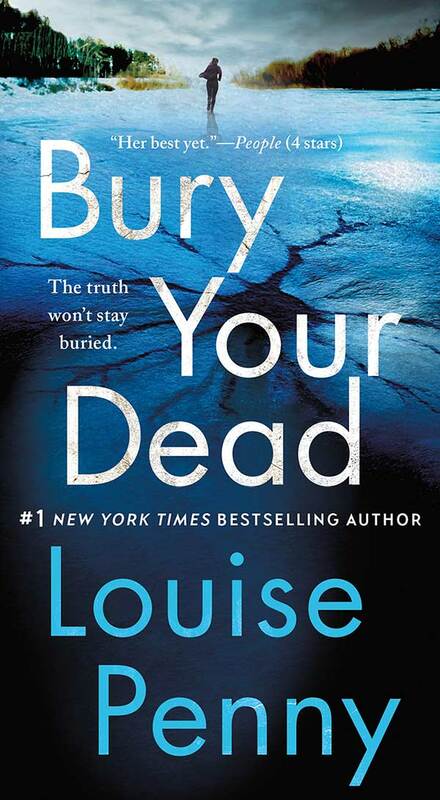 I just finished reading Bury Your Dead a few days ago. I especially learning the historical references you include in your books. Being an American I am pretty ignorant of our neighbors history. By reading this fabulous series I have learned much and look forward to each of the well researched books you present to us readers. I have my grandfathers WW1 journal. A few times he was lucky to stay alive. I believe religion is the rationalization used by bullies to create wars. I believe humans are to be creative and there’s nothing creative about killing or hurting other human beings. I really appreciate this book and the insight it gives us toward war and the occupation of one country by another. I couldn’t agree with you more. Thank you for stating it so well. Just returned from visiting Quebec City – stayed in the walled city – loved wandering around with Bury Your Dead in hand as my guidebook! Indeed. I can feel Gamache’s horror. As a man in a leadership position for what is essentially a domestic military force, he can not imagine the men and women who died, during the raid at the factory, thinking it was right and good to do so. So much about life and death in this, perhaps my favorite Gamache mystery. The weaving of three tales into one: Gamache’s wounded psyche, Beauvoir’s wounded body, and the soul-wrenching last 24 hours of Agent Paul Morin’s life. So many dead in the factory, so many dead on the Plains of Abraham, so many dead and buried under the buildings of Quebec City, so many dead bodies moved from place to place, so many rules about where one can be buried – and about how much money will get you where, and for how long, after death – and so many casualties in accidental injustices. Yet I keep returning to life and love, Gamache’s (un)dying words given to Agent Lacoste – Reine…Marie. Reine…Marie – and Reine-Marie’s only thought as the doctor gave his initial report to her and Annie, He’s alive! And in Three Pines, Old Mundin’s terrible choices and the hermit’s terrible choices. (Sweet Jesus, communication is so important in families!) Olivier getting his life back and Gabri getting his love back. And Jean-Guy, starting down a long and dismal path, not knowing how much he would change, because, well, people can change, but not always for the better. Thank you for highlighting the multitude of stories and angst encompassed in this, my all-time, favorite book. As I listened to it the second time, I am filled with awe at the capabilities of Louise Penny to entwine all of these stories into one – and don’t forget all the history included as well. I feel her characters in such depth, especially the vulnerability and sensitivities of Gamache. Thank you. Glad to have so many people with me on this journey! Wonderfully insightful analysis, thank you. Such a wise commentary, Jennie. I have come to treasure these comments from others in the Penny tribe. You are the soulmates I have searched for over 70 years. I was first exposed to the horror of WWI, by an old soldier with shell shock. It is beyond my imagination to consider the horror of Everyman in the trenches. It was reinforced by, believe it or not, Downton Abbey. I read the book by Lady Carnarvon’s book detailing that era of her home. What struck me was the soldiers who recovered on the estate knowing they had to return to the trenches. I am appalled just imagining going back to that hell. There is no greatness in slaughter. Ecclasteces said that there was a time for peace and a time for war. My mother always made the comment that every war is ended by talk, eventually. She wondered why so many had to die before that happened. Their deaths were not glorious. Their deaths were hugely significant to their families, who would give up glory and pride to have their soldier home. I came to understand the horrors of war at a very early age. A great uncle I never met whose name is engraved on the The Menin Gate Memorial. A grandfather who suffered from what, today, we would call shell shock. One did not approach grandad from behind if he didn’t know you were there. A cousin who never came home. Two uncles I never met. They simply did not come home. A mother who lost her first husband in Germany whilst carrying my (half) brother, and a second husband, my dad, who didnt make it home from India until I was two. I grew up in two bombed out port cities. Every movie was preceded by Pathe News, which bombarded us with the reality of war, including vivid images of the concentration camps and earlier footage of the absolute horror and devastation of life in the trenches. There is no glory in war, ever. Thank you for your truly remarkable novels. They pull no punches. I grew up in Lake George where Montcalm Street was name for the General. Thank you, yes, “An old and dangerous lie”war is such a tragedy, yet we continue. I first learned of Wilfred Owen and his poems in the 1960s via the English composer Benjamin Britten’s War Requiem. Britten takes the Latin Requiem for the Dead and intersperses it with nine of Owen’s poems. It was written to commemorate Coventry Cathedral, which was rebuilt after being bombed in World War II. It is a stirring work. All a poet can do today is warn. Wilfred Owen. I’ll have to listen to Britten’s piece. Thanks for sharing!